Helena Puumala’s children’s fantasy series, Nathan’s Adventure in the Other-Other Land, follows the adventures of Nathan and his friends, as they travel to the Other-Other Land, through the magic mirror. There, they encounter mystery, adventure and danger, as they strive to help the peaceful inhabitants of the Other-Other Land to overcome their fearsome enemies, which include dragons and wizards, among others. But, though young, Nathan and his friends are resourceful and brave, a good match for any dangers that they might meet on their journeys. Both books are on Kindle Countdown this week (June 14-21, 2017), a nice bargain for kids and parents, at only 99 cents each. 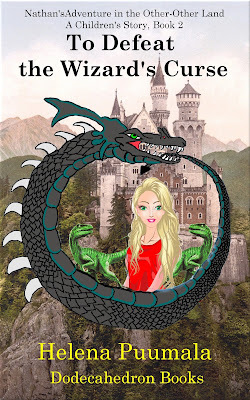 In Book 1, Nathan helps Prince Roland to rescue his sister, Princess Pepper, from the clutches of the Black Dragon, who is in league with the Terrible Bing – both wish to overthrow the Kingdom of the Other-Other Land. Nathan and Prince Roland must undergo many tests and perils, in their mission to save the feisty Princess Pepper. 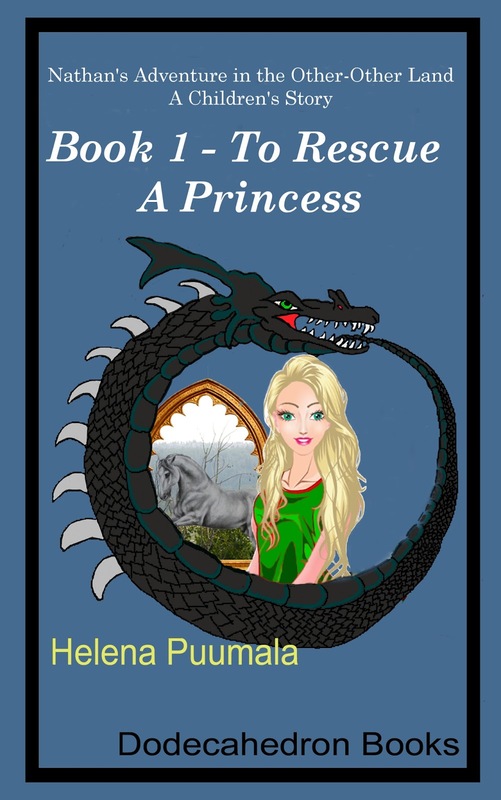 Book 2 continues the adventures of Nathan and his friends, with much of the focus now on Princess Pepper, as she enlists the help of Nathan and his cousins, to overcome a curse which has been cast on the land. This spell has resulted in a terrible drought throughout the country, which is slowly starving the land and its people. The Princess and her companions must also overcome many dangers in their quest to overcome the Wizard’s Curse, including the emotionally jarring prospect of re-uniting with Pepper’s mother, who seemed to have abandoned her children at an early age.